Dave Meadows, a student at Camborne School of Mines in the mid ‘80s emailed to say hello yesterday. He was at this month’s World Gold meeting in Montreal but we somehow managed to miss each other amongst the many delegates at COM ’11. 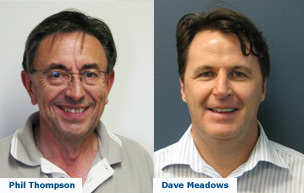 Dave is now based in Salt Lake City, at the global Mineral Processing headquarters of FLSmidth, sponsors of Flotation ’11, which commences in two weeks time. He informed me of two major award notifications to the Salt Lake City staff. 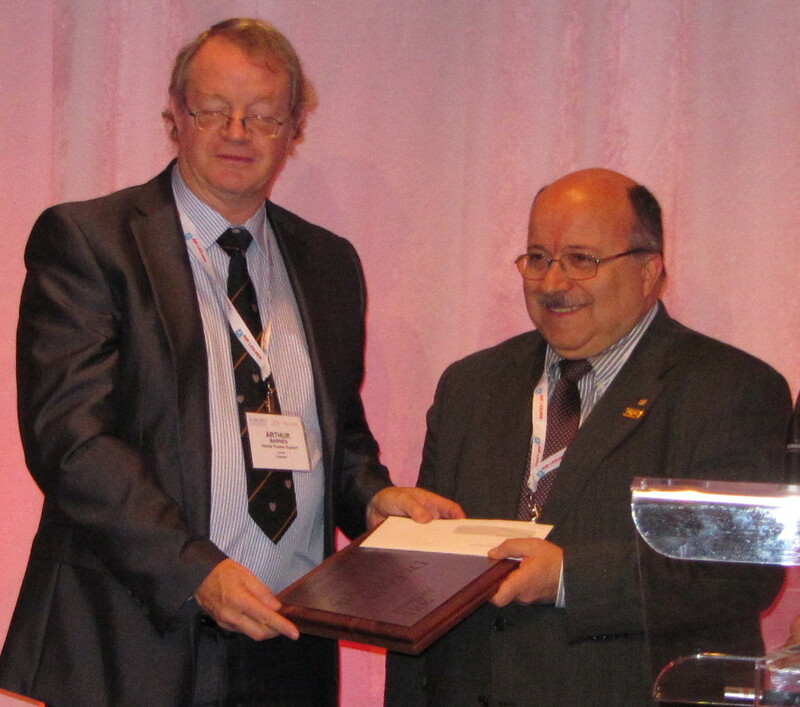 Phil Thompson has been selected as the recipient of the 2011 Antoine M. Gaudin Award, which recognises contributions that further the understanding of the technology of mineral processing. He will be honoured “for his role in helping to develop, apply and optimise advanced flotation techniques across the mining industry, including those applied to the recovery and/or separation of copper-molybdenum, gold-copper, silver-lead-zinc, potash and talc, and for his creative and dedicated leadership of Dawson Metallurgical Laboratories for over twenty years.” Phil will become the first FLSmidth employee to receive the prestigious Gaudin Award. Dave Meadows, meanwhile, will be awarded the Arthur F. Taggart Award, which is given to the author (or co-author) of the paper that best represents a notable contribution to the science of minerals processing in the last two years. Along with Peter Amelunxen, of Aminpro Chile, a regular reviewer of Minerals Engineering papers, Dave co-authored the paper, “Not another HPGR trade-off study,” which was published in Minerals & Metallurgical Processing (2011), 28(1), 1-9. Dave has also just received a Patent Award for a “Controlled Copper Leach Recovery Circuit” as part of the flowsheet development work he did for the Tenke Fungurume Project in the Democratic Republic of Congo. 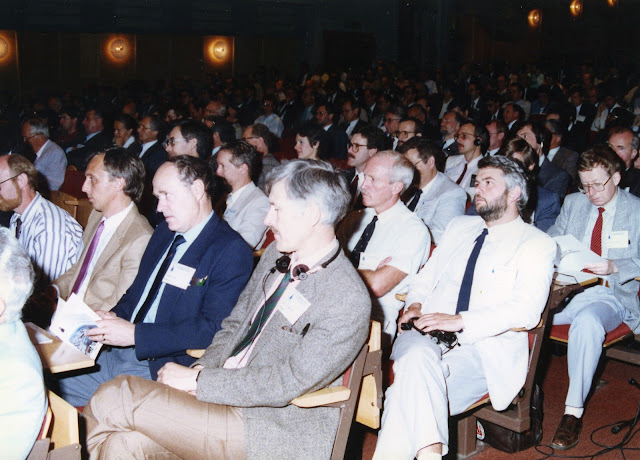 The opening session at the IMPC in Stockholm in 1988. Apart from myself, the only persons that I recognise are Nick Wilshaw of English Clays (2nd from right) and Bertil Palsson of Lulea University, Sweden (far right). A memorable occasion for me, as it was my first IMPC. Reducing energy consumption will be the subject of a number of papers at next month’s Flotation ’11 conference, and is also one of the themes of the following major MEI Conference, Comminution ’12. Where the focus should be for reducing energy consumption in primary metal production is analysed in an important paper by Terry Norgate and Sharif Jahanshahi of CSIRO Minerals Down Under Flagship. They argue that it is essential that a life cycle approach be adopted in evaluating the opportunities to improve sustainability and reduce the greenhouse gas footprint of operations. They use life cycle assessment methodology to indicate where in the metal production life cycle this focus on energy efficiency should be and to evaluate a number of potential opportunities for reducing the greenhouse gas footprint of primary metal production. Results from life cycle assessments of the main primary metal production processes, together with current and predicted global metal production rates, ore grades and grind or liberation size, have been used in a broad analysis to indicate that endeavours to improve the energy efficiency of primary metal production should focus mainly on the metal extraction stage, particularly for steel and aluminium. Declining ore grades and more complex ore bodies anticipated in the future can be expected to significantly increase the energy required for comminution of the main metal ores and will present opportunities for improving the energy efficiency of primary metal production. However, these opportunities will still be appreciably less than potential energy efficiency improvements in the extraction stage for these metals. 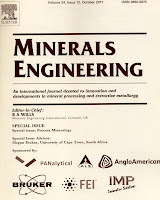 Their paper can be found in Volume 24 Issue 14 of Minerals Engineering, which is now available on ScienceDirect. Every weekend we will be publishing a photograph from the MEI archives. If you were in the photograph, or know of others in it, we would appreciate your comments. This week's photo was taken in 2005, after a memorable walk up Table Mountain, Cape Town, with delegates from Biohydromet '05. Australia’s JKMRC/JKTech is conducting a brief survey of concentrator managers and metallurgy experts to better understand the current state of process monitoring and control in metals concentrator facilities. Their aim is to better understand what practices and technologies are being used and where there are gaps and opportunities for technology development. By process monitoring and control, they refer to any technologies in your plant that monitor the incoming or outgoing ore and products such as weight, grade, particle size, and elemental content. Click here to begin the Process Monitoring and Control Survey. The aim of the JK is to help and aid the mining industry in improving mineral processing technology. Please complete the survey by 30 November 2011. Every valid respondent will automatically enter the draw to win an iPad. The winner will be determined by random selection on the 9th December and the winner will be notified the same day. JKMRC and JKTech staff and students are not eligible. The decision of the director of JKMRC is final. 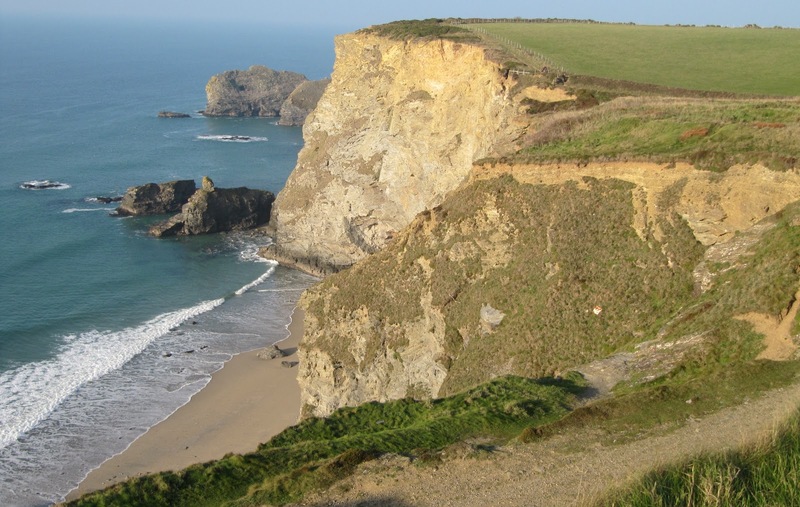 Only a couple of miles from the Camborne-Redruth mining district are the rugged North Cliffs and today I walked the eroding coastal path from Portreath towards Hayle. These 200 ft high cliffs, composed of Devonian sandstones and shales, were laid down around 370 million years ago. These and all the rocks of Cornwall were severely deformed 70 million years later with the closing of the Rheic Ocean and the final formation of Pangea. 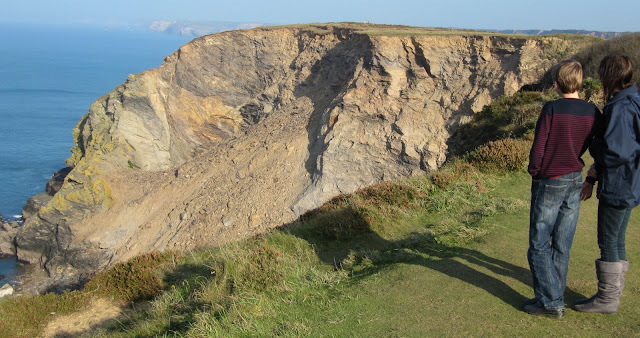 This deformation is most spectacular up the coast in north-east Cornwall, but the tectonic forces created faults in the rocks in the North Cliffs, which led to the formation of the copper and tin deposits in the nearby Camborne-Redruth area (the old headgear of the South Crofty Mine in Camborne is clearly visible from the coast path) and have been the cause of catastrophic landslides and heavy erosion of the cliffs. 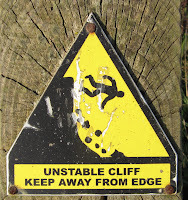 Very rarely as anyone witnessed one of these geological events, but as I approached the awesome and scary Hell's Mouth, with its sheer drop to the sea below, I saw the result of the latest landslide, which was not only witnessed by several people, but also videoed by a local geologist. His movie made the national news, and the remarkable footage can be viewed on YouTube. 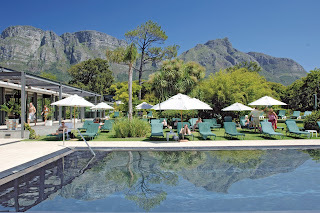 The 8th International Comminution symposium will be held at the Vineyard Hotel, Cape Town in April. Comminution '12 has already attracted much interest, with 14 major corporate sponsors already supporting the event. If you would like to present a paper at the conference, short abstracts should be submitted by the end of this month. If accepted, draft papers should be submitted before the conference, and will form the conference Proceedings. After the conference, all authors will be invited to submit their final papers for review, for possible publication in the special comminution issue of Minerals Engineering. If you would like to exhibit at the conference, you are advised to register as soon as possible, as exhibition space in the conference area is limited. Details of corporate sponsorship can also be found on the website. 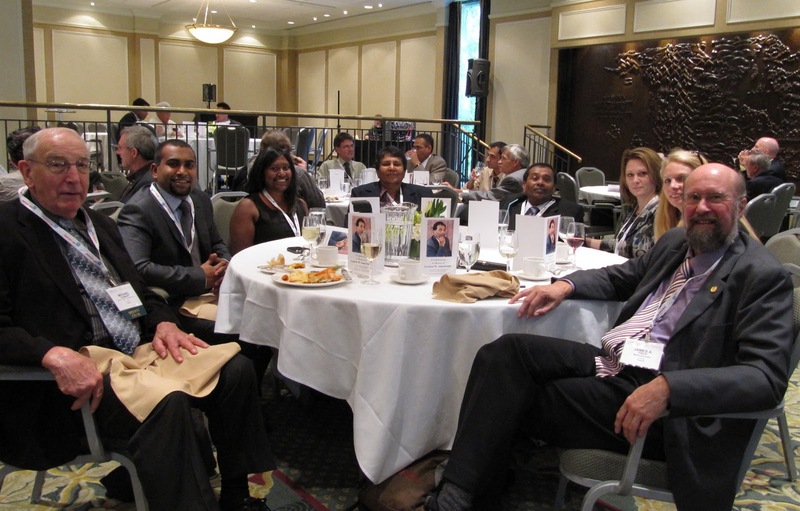 Process Mineralogy ’10 was held in Cape Town, South Africa in November last year. 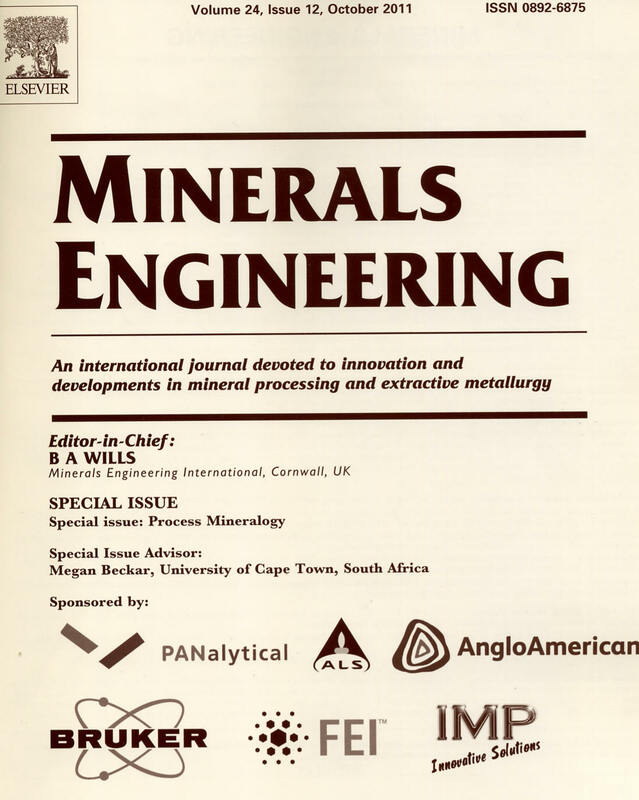 Twenty selected papers from the conference have now been published in Volume 24 Issue 12 of Minerals Engineering, with a Foreword by the MEI Consultant Dr. Megan Becker, who was also advisor to this special issue. The papers are also available electronically on ScienceDirect. The Proceedings of the conference, containing unrefereed papers, is available from MEI. 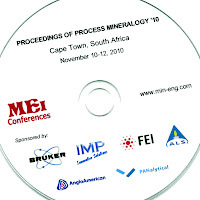 Process Mineralogy ’12 will be held in Cape Town in November next year, back to back with Precious Metals ’12. 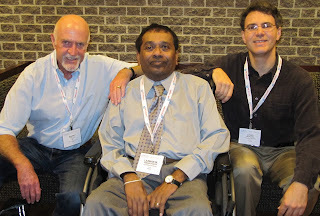 I am grateful to Sunil Koppalkar, of COREM, Canada, for advising, via MEI's Minerals Engineers group on LinkedIn, that Byron Knelson, the inventor of the Knelson enhanced gravity concentrator, passed away in August. Until his retirement from Knelson Concentrators, Byron was a well known figure in the world of mineral processing, a big man with a big personality. I first met him at Minerals Engineering '92 in Vancouver, and always enjoyed his anecdotes and knowledge of gravity separation. On behalf of MEI, we extend our condolences to his family, and invite anyone who has memories of Byron to leave comments here. The Metallurgy and Materials Society (MetSoc) of CIM celebrated its 50th Anniversary at the Hilton Bonaventure Hotel in Montreal from October 3-5, 2011. MetSoc encompasses the broad field of metallurgy, from the primary extractive industries to steel making and physical metallurgy. This was highlighted by the number of parallel symposia taking place over the three days, including New Technology Implementation in Metallurgical Processes, Light Metals, Waste Processing and Recycling, Management, and Innovations in Joining Advanced Materials. 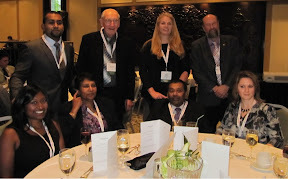 The Canadian Institute of Mining, Metallurgy and Petroleum (CIM), the Australasian Institute of Mining and Metallurgy (AusIMM) and the Southern African Institute of Mining and Metallurgy (SAIMM) jointly convene a World Gold Conference every two years on a rotational basis. 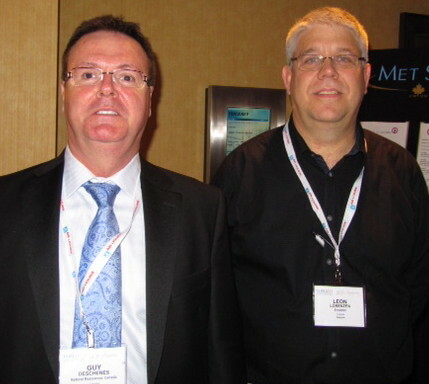 The conference series completed its first loop with the 2009 World Gold Conference held in Johannesburg. 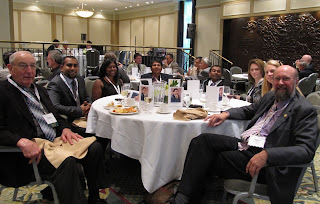 Now, after three successful events, the World Gold Conference also formed a major part of COM '11's programme. Because of this very broad scope, what follows in no way provides a comprehensive report on the week's activities, so I invite delegates to add their own comments at the end of this posting. Due to a 24 hour flight delay at Heathrow, I arrived in Montreal late last night, so unfortunately missed the opening wine reception. One of the plenary lectures this morning was delivered by Fathi Habashi, of Laval University, who explained the historical development of MetSoc, which was originally the Metallurgical Society of CIM until 1967. In another plenary, Chris Twigge-Molecy of Hatch discussed the global challenges in the mining industry, particularly in view of the tremendous stress imposed on the minerals and metals supply chain by global growth, particularly driven by China. I caught up with Guy Deschenes, of CANMET this morning. Guy is an Editorial Board member of Minerals Engineering, and also Chairman of World Gold. 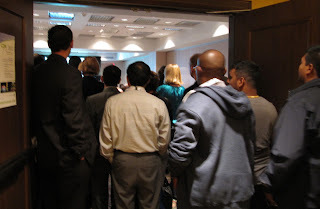 Although no delegate list is available, he tells me that over 800 have registered for COM '11, and around half of these are for World Gold, which was evident from this morning's sessions, where it was standing room only, with people spilling out into the corridor. Parallel sessions also created a number of dilemmas for many people. Mineralogy of Precious Metals ran all day, in parallel with the morning's Plant Practice and Projects, and the afternoon's Refractory Ores sessions. There was also conflict between the day's sessions on New Technology Implementation in Metallurgical Processes, which included two interesting keynotes, one from Bert Wasmund of Hatch. He showed that success in implementing new technology is not a foregone conclusion. He defined success not only as meeting the schedule and budget to mechanical completion; the key goal is fast ramp up to the full design production level, with minimum plant and equipment modifications required after start-up. Shortly after talking to Guy I was pleased to see my old friend Leon Lorenzen, of Snowden, Australia, who will be Chairman of the next World Gold symposium, to be held in Australia in 2013 at either Perth or the Gold Coast. It is hoped that it will be run back to back with Geometallurgy '13, which makes sense as many people will have a great interest in both. 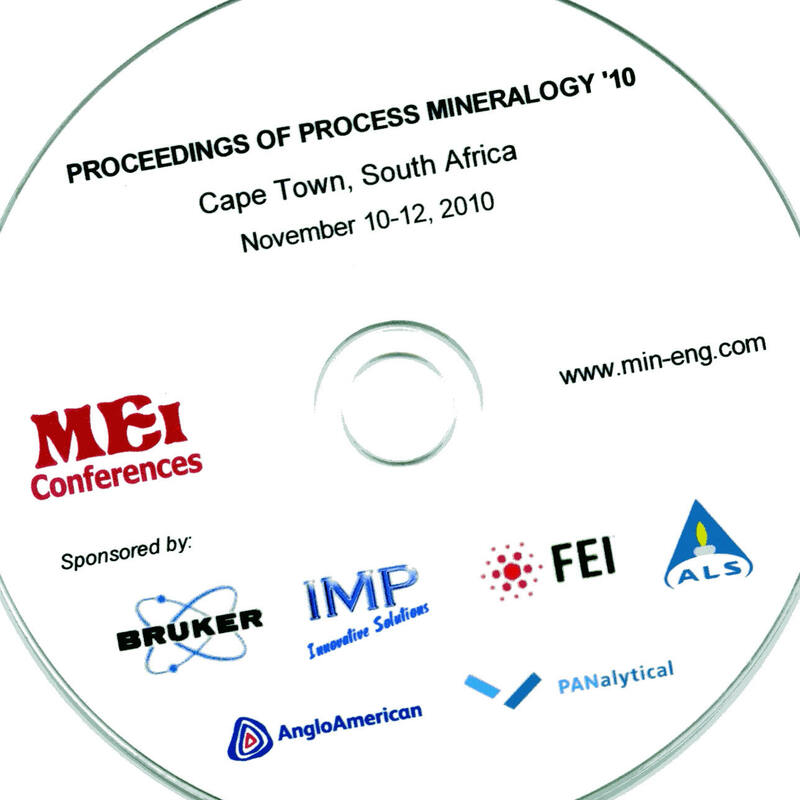 For a similar reason, MEI is organising next year's Precious Metals '12 in Cape Town in conjunction with Process Mineralogy '12. After the morning sessions I attended the MetSoc Awards luncheon, where several CIM members who have excelled through their outstanding achievements were honoured. Teck has recently established an award to promote innovation and development in the field of environmental control technology for the metallurgical industry in Canada. The award recognises significant contributions to the field of environmental science and engineering and sustainable development, and this year's recipient was Richard Lawrence, the Principal of Lawrence Consulting Ltd, in recognition of his significant contributions in the area of acid rock drainage, which has advanced the knowledge of prediction methods, improved waste management practices and developed new water treatment methods. He received his award from Greg Richards of Teck Resources Ltd. The Airey Award is a memorial to the late H.T. Airey, who played a significant role in the creation and organisation of the Annual Conference of Metallurgists. It is supported by Xstrata in recognition of highly significant contributions to the advancement of metallurgy in Canada. Arthur Barnes, of Xstrata Process Support, presented this to Engin Ozberk, Vice-President, Innovation and Technology Development of Cameco Corporation, for his important contributions to process development and design and for continuing leadership through active and strong involvement in CIM. Immediately after lunch there was an excellent panel discussion with the top leaders in the gold industry. 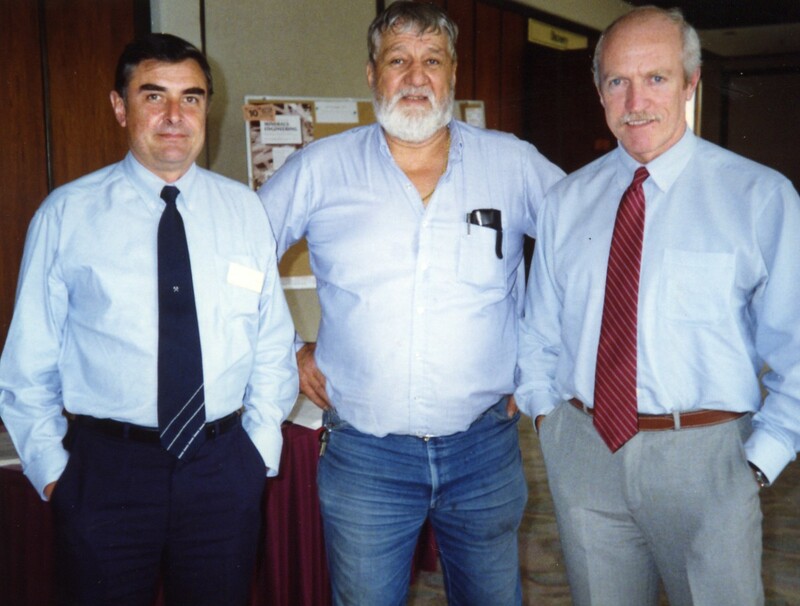 Pictured left to right are Peter Kinver, EVP and COO of Barrick Gold Corporation, David Harquail, President and CEO of Franco-Nevada, Sean Roosen, President and CEO of Osisko Mining Corporation, and Gordon Stothart, EVP and COO of IamGold Corporation. 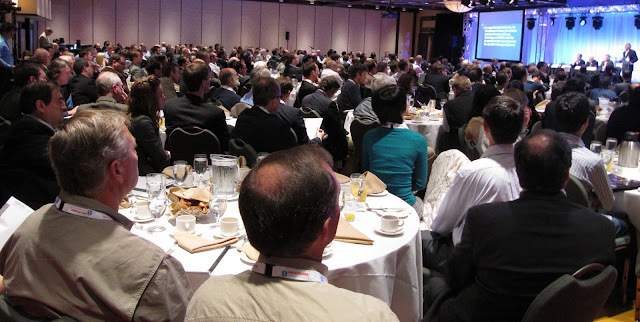 Most conference forums are a disappointment and fall flat due to a lack of motivation to speak, but this one was driven by the professionalism of Amanda Lang, Senior Business Correspondent with CBC News , the Guest Moderator, who asked pertinent and leading questions and maintained the momentum of the discussions. The panel were unanimous in that the key driver for gold in recent years has been investment demand and the exploding economy in China. It is relatively easy to buy gold these days and the Chinese government encourages people to do so. As long as the 8-9% global growth continues there will be a demand for gold and the bull market of the last ten years will continue. The great technological challenge, however, is in maintaining this with decreasing ore grades and increasingly refractory and complex ores, and there is a need to encourage young engineers to join the industry. Investment in new processes, and improvement of existing ones, is of great importance. The perception is still that mining is a dirty and socially unacceptable industry, so it is essential that people in the industry display their pride in the industry and extoll its virtues. Cyanide usage typifies this general attitude, and its use is emotive and prone to punitive legislation, even though in reality it is fairly easy to manage and control. 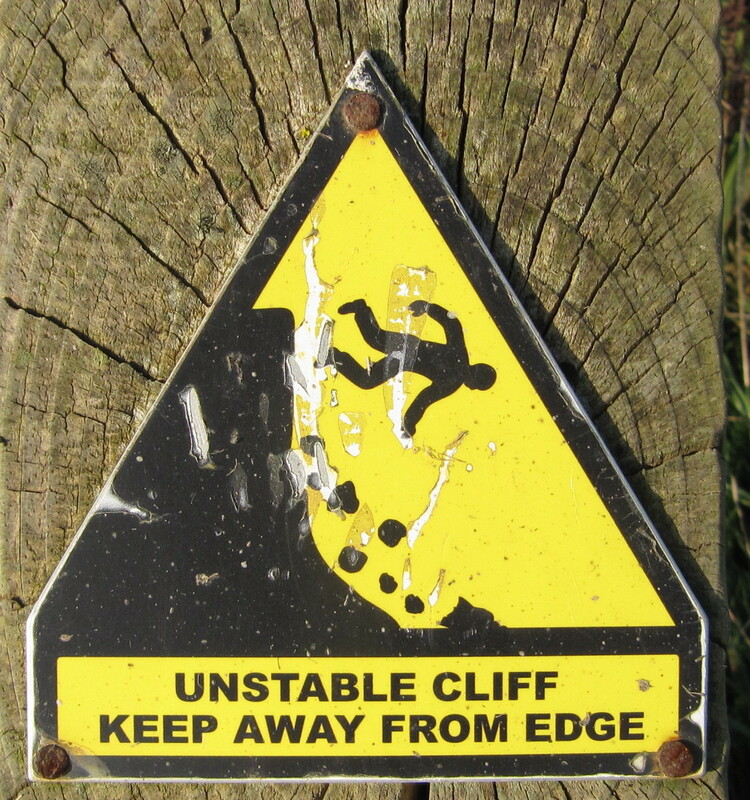 Personally I have no problem in arguing the case for mining, particularly for base metals and industrial minerals, on the basis of "everything we use is either mined or grown", but I have always had some difficulty in convincing people of the essential need for gold mining (see posting of August 9th 2009). The general conclusion of the panel was that this is probably the best time ever to be a gold miner but the industry must take advantage of it to build the foundations for the next generation of mines. There was a bewildering array of parallel sessions this morning, with many papers of interest, so it is good to know that a complete set of COM 2011 printed proceedings will be available from MetSoc after the conference. The 5 books in the set comprise Advanced Materials, Light Metals, New Technology, Waste Recycling and World Gold. The fifth book in the set is a commemorative 50th Anniversary volume, documenting how the 'metallurgical landscape' in Canada has evolved over the past 50 years, this retrospective allowing one of the morning's keynote speakers, Nathan Stubina, of the Mining Association of Canada, to look forward and try to predict the forces that will shape the industry in the next 50 years, while Jurgen Beier of Deloitte & Touche discussed the top 10 issues mining companies will face in the coming year. He argued that these are 1. The fickel face of financing; 2. When supply can't match demand; 3. Securing a licence to operate; 4. New taxes, new regulations and new governments; 5. How to invest more strategically; 6. The war for talent; 7. Maintaining the search for new deposits; 8. Climate change disclosure; 9. Inadequate infrastructure in developing jurisdictions; 10. New revenue opportunities. Running in parallel with these keynotes were 4 papers showing how industry and universities have interacted as a research consortium on the processing of a low grade ultramafic nickel ore. Vale Base Metals Technology Development invited Cytec and the Universities of McGill, Columbia and McMaster to attack the problem, each with a different approach. The McMaster University group, with little mineral processing experience, but with a strong track record in colloids, polymers and chemical additives for papermaking, proposed employing hydrophobic nanoparticles to replace conventional low molecular weight, water-soluble flotation collectors, and showed that these can function as efficient collectors, and efforts to commercialise the technology are ongoing. There is more information on MEI Online. And to compound the parallel session dilemma, the morning sessions of World Gold contained three parallel sessions, on environmental aspects, including acid mine drainage, gold recovery by gravity concentration and developments in cyanide leaching. I have been very pleased to see the high esteem in which Laxman (Lucky) Amaratunga, of Laurentian University is held in Canada and I am looking forward to tomorrow's luncheon in his honour. I have known Lucky and his wife Nan for 20 years, when they attended Minerals Engineering '91 in Singapore. As a graduate of Camborne School of Mines, they have also visited Cornwall in recent years and attended MEI Conferences in Falmouth. 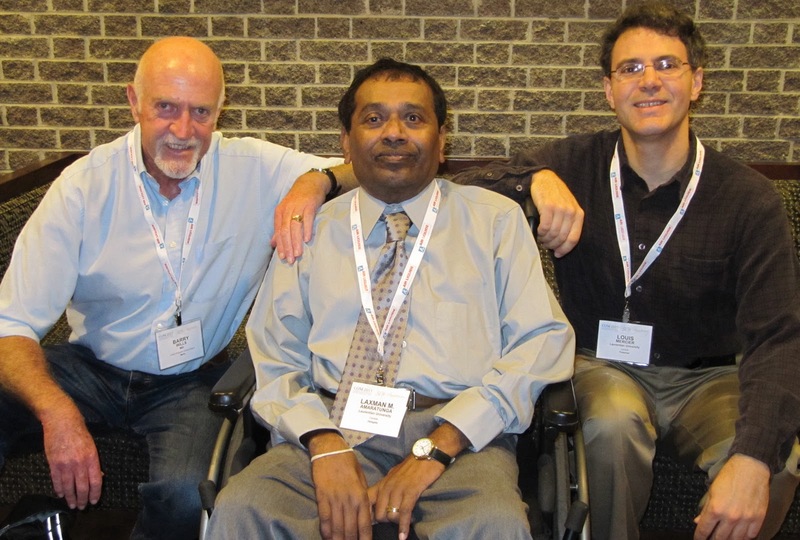 Although now confined to a wheel-chair, Lucky is as cheerful as ever, and he enthused about his latest research, on the use of nanoporous silicas in gold processing, which his colleague Louis Mercier will be presenting tomorrow. They are planning to submit a paper on this innovative work to Minerals Engineering. As they explained, thiosulphate is a promising alternative lixiviant to cyanide, but it is not well absorbed by activated carbon, making its industrial use for gold leaching impractical at present. They have shown that the efficient adsorption of gold thiosulphate by thiol-functionalised mesoporous silicas, with pore channel diameters in the range 3-10 nm, is possible, whereby the thiol groups in the materials bind with the gold complexes by ligand displacement. The absorbed gold could be leached out using cyanide, regenerating the absorbent for further uptake cycles. We discussed the possibility of preesentation of this promising candidate for the preconcentration of gold from thiosulphate leach solution at next year's Precious Metals '12. Following an excellent World Gold Luncheon, there were some interesting papers on the comminution and concentration of gold ores, including a paper by Ronel Kappes of Newmont Mining Corporation on the current status of the chemistry of gold flotation, which reviewed current gold flotation practice and how these applications tie in with the current understanding of gold flotation chemistry. As discussed by Qi Liu of the University of Alberta, gold recovery from refractory ores can be very complicated depending on the cause of the refractoriness. Typically a fine grind and/or the oxidation of the gold-bearing sulphide minerals are required to liberate gold from the host rock matrix. Mineral separation techniques can be used to pre-concentrate the gold and sulphide minerals, or to remove mineral species that are harmful either to the oxidation of the gold-bearing sulphides or to the cyanidation following the oxidation. Dr. Liu described several possible processes, including oil-agglomeration-flotation recovery of fine gold, reverse flotation of carbonate minerals prior to pressure or bio oxidation, reverse flotation of elemental sulphur after pressure or bio oxidation but prior to cyanide leaching, and flotation recovery of fine gold-bearing activated carbon, as well as magnetic concentration of gold-bearing iron oxides. The integration of these techniques with gold hydrometallurgical processes may make the economic recovery of gold from an otherwise uneconomic refractory ore possible. 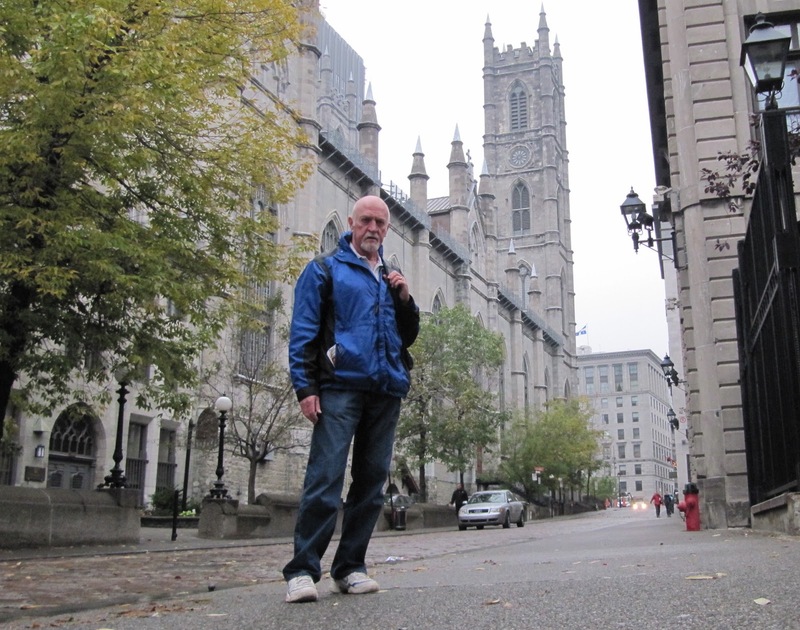 In the late afternoon I took some time off to explore Montreal. 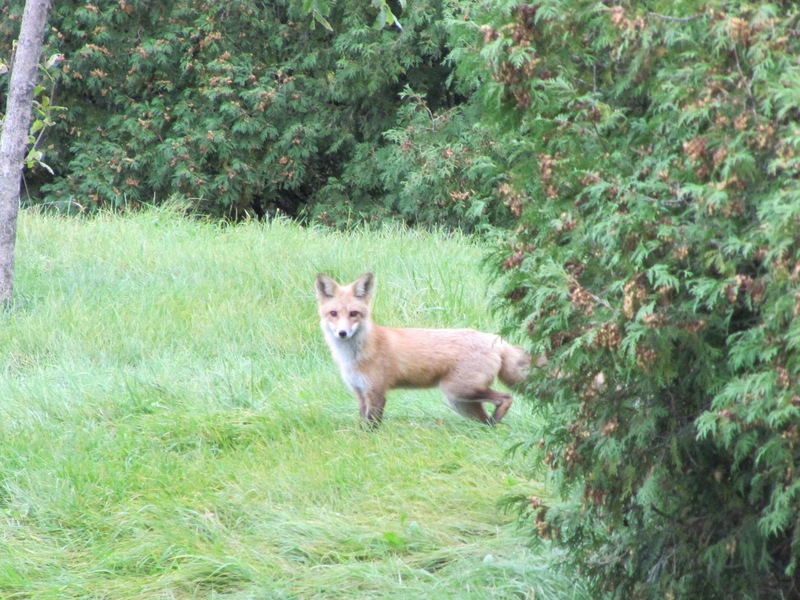 I took a taxi to the man-made Île Notre-Dame on the St. Lawrence River, a small, peaceful island where there is more wildlife than people. For one week each year it explodes into vibrant life and becomes the noisiest place in Montreal, as it is home to the Gilles Villeneuve Grand Prix circuit. 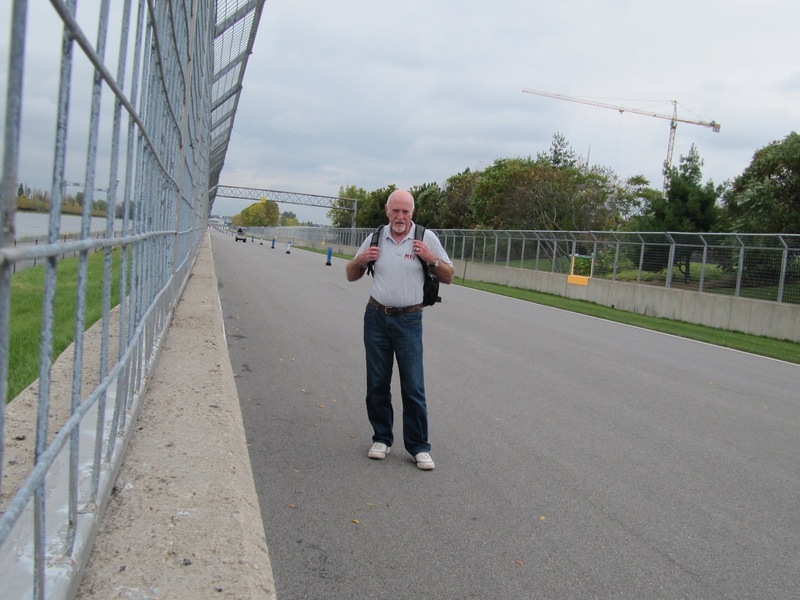 After walking the circuit I had a very long walk back to the hotel via the old city. This morning I sat in on an interesting presentation in the Student Activities section of the conference. Alicia Ferdinand, President of Proven Resources Recruitment, presented different stategies to help guide students along their career path. She emphasised the importance of networking, and that 80% of jobs come via getting to know people at conferences, etc, as well as via professional networking sites, notably LinkedIn. It was disappointing, however, to see that only 6 students made the effort to attend. Alicia's presentation unfortunately clashed with a paper given by Utigard Torstein of the University of Toronto on energy recovery from smelter slags. The worldwide consumption of energy is steadily increasing and by 2030 it is forecasted to grow by another 50%, leading to mounting political and economic pressures. In many pyrometallurgical processes a large amount of energy is lost in off-gases, slags, mattes and molten metals. The presentation reviewed previous attempts to recover some of this energy and evaluated some potential novel technologies. I missed the presentation and wonder if the Warner Process for direct smelting of complex sulphide ores was mentioned. This interesting process was developed at Birmingham University in the 1980s, and although proven at pilot scale has never found any industrial application. In the World Gold symposium unfortunate programming split New Concepts into two parts, and then ran them in parallel! Because of this there was a clash between two very interesting papers. Virtually every conference that I have attended this year has had at least one paper on sensor-based sorting, a technique that was once limited to diamond processing and a few other operations, but due to high speed computer processing is now finding many other preconcentration applications, notably for gold ores and waste dumps in South Africa. As processor speeds continue to increase, expect more and more applications for this technology. 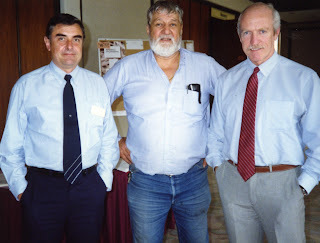 The paper on the potential for sensor-based sorting, by authors from RWTH Aachen University, and CommodasUltrasort was given at the same time as Damian Connelly, of Mineral Engineering Technical Services, discussed the significant innovations which have taken place in the Australian gold mining industry. Research and development plus innovation by companies themselves and assistance from consultants has resulted in Australia becoming a leading supplier of commodities and an exporter of resource sector technology. Institutions such as the JKMRC, the Parker Centre, the Ian Wark Research Institute, CSIRO, AMIRA and the Cooperative Research Centres have fostered these innovations. 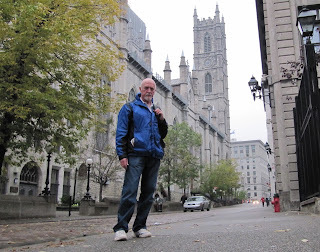 After attending the lunch to honour the life and works of Lucky Amaratunga (see Wednesday's posting), where I at last managed to catch up with MEI's Precious Metals '12 consultant Mike Adams, and Flotation '11 keynote speaker Jim Finch, I decided to call it a day and explore a little more of Montreal on foot. This is a difficult conference to summarise, as it has been a bewildering maze of too many discrete symposia and parallel sessions. The centre-piece has undoubtedly been World Gold, and Guy Deschenes and his team must be congratulated on all the hard work that they have put in to organise this symposium, which attracted around half of the total COM '11 delegates. However, its impact was diluted by a further 400 delegates at the venue, many of them mining engineers, geologists, physical metallurgists and materials scientists, which made catching up with contacts difficult. I understand why MetSoc wished to incorporate World Gold into COM '11 on its Golden Jubilee, but World Gold is important enough to be a stand-alone conference, and would have had more impact held back to back with COM '11. The AusIMM are wise to have decided to run World Gold '13 as a discrete conference, running back to back with Geometallurgy '13, as many people have an interest in both, but will be able to focus on each individually without the frustration of conflicting parallel sessions. Similarly next year's Precious Metals '12 in Cape Town will be stand-alone, with no parallel sessions, but back to back with Process Mineralogy '12. Finally, although I have been disappointed by the eclectic nature of the 3 days in Montreal, I would like to congratulate individual teams on the organisation of their specific symposia, and I look forward to seeing the final Proceedings volumes in print. Next year's COM will be held at Niagara Falls from September 30 to October 3rd and will feature Pressure Hydrometallurgy 2012. I have just attended an excellent celebratory lunch in Montreal, honouring the life and work of Laurentian University's Prof. Laxman (Lucky) Amaratunga. A very entertaining Master of Ceremonies at the lunch was Prof. Jim Finch, from nearby McGill University. In the photo are (back row) Lucky's son Ruwan, Michael Sudbury of M.P. Sudbury Consultants, Janice Zinck of CANMET, Jim Finch, and (front row) Lucky's daughter Amanda, wife Nan, Lucky and his carer Laura Turcott. In 2005 Lucky was diagnosed with a neuro-muscular disease, which has forced him to use a motorised wheel chair for mobility. He has refused to be defeated by the handicap and has carried on his full teaching load and continues research, this time in a new area of research, developing a novel nanotechnology gold extraction process, which was presented at a paper today at the World Gold conference. Lucky was born in Sri Lanka and graduated in Physical Science at the University of Ceylon in 1969. He and his wife Nan then moved to the UK where he graduated at the Camborne School of Mines in 1974 with a first class honours degree in Mining Engineering. He then moved to the University of Birmingham where he obtained a PhD in mineral procesing in 1978. 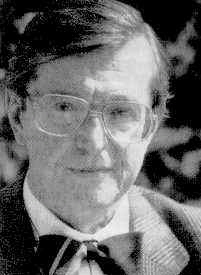 He then became a research fellow at Birmingham from 1978 to 1980, after which he and Nan emigrated to Canada, where he was a research associate at the University of Toronto. 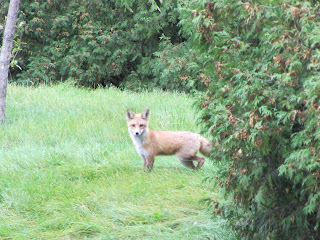 In 1984 he joined Laurentian University and became a full professor in 1993. He is an active member of CIM and in 1997 was awarded the prestigious CIM Fellowship for his outstanding contributions to the CIM and CMP, and was awarded the CIM Distinguished Lecturer for 1999-2000. The full and productive life and career of Laxman Amaratunga, his high level of technical competence, keen interest and enthusiasm on matters of environmental concern, especially in the mining industry, social responsibility, courage and determination to face adversities and challenges, cordial and cooperative relationship with students and professional colleagues and a happy family life all combine to make him a role model for the younger students and researchers who will follow him in the years to come. I received the sad news this morning that Dr Klaus Schoenert of Clausthal, Germany, passed away at the age of 84 on 24th September, 2011. Dr Klaus Schoenert was the inventor of the High Compression Roller Mill (now known as High Pressure Grinding Rolls (HPGR)). He was a scholar of Prof. Hans Rumpf, the founder of the Institute for Mechanical Engineering at the University of Karlsruhe / Germany. If you have any memories of Dr. Schoenert, you are invited to leave your comments here.